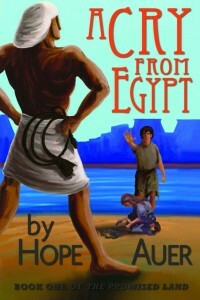 A Cry from Egypt by Hope Auer is now available for purchase. I'm excited to share this new book with you. I received a pre-release copy to read and review last summer. It's all about the Exodus from the perspective of an Israelite family. It was a perfect timing to go with our ancient history studies. I read A Cry fro Egypt aloud to Jonathan and Jacob after we studied about Moses and the Exodus. Jonathan had already read Exodus in his Bible so his was familiar with the story. It took us a while to get through the book because there was so much to take in and talk about. I'd have finished the book in a day or two if it were just me reading alone because the story pulled me in and I wanted to know what would happen next. Hope's writing is wonderful. (She's a homeschool grad, by the way!) I really felt like I was right there with the Israelite slaves. It was fascinating to think about the lives of the Israelites during this time from their perspective. What was it like to be a child during this time? How would the people have reacted to Moses and Aaron? Hope did such a great job crafting each character. Be warned: the mother in the story may drive you crazy. A Cry from Egypt is a great book to help your kids visualize and understand more about the Israelite slavery and Exodus. It's now available for purchase from Raising Real Men. 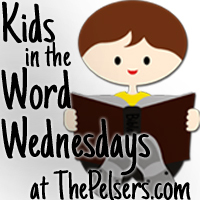 How have you kept your kids in the Word this week? Share in the comments or link up a post!